We here at The Paper Doll Bag will be taking a hiatus from posting new dolls and dresses for at least three months. There are some major changes coming up in our lives, including a move out of state. Josie Anne will probably post from time to time, but we just don't have time to work on new dolls and dresses right now. 1860's house dress. The skirt is made of silk and the jacket is made from velvet. The jacket is trimmed with beads and fastened with a gold and opal brooch. This dress was inspired by the dress of the woman sitting on the far right HERE. Consuela's dresses are now available for download on her page. Our next challenge is the March Birthday Dress Challenge. Please include either the birthstone (aquamarine or bloodstone) or the birth flower (daffodil). You can of course, use both. Send pictures of your dresses to paperdollbag[at]gmail[dot]com by March 27, 2015. 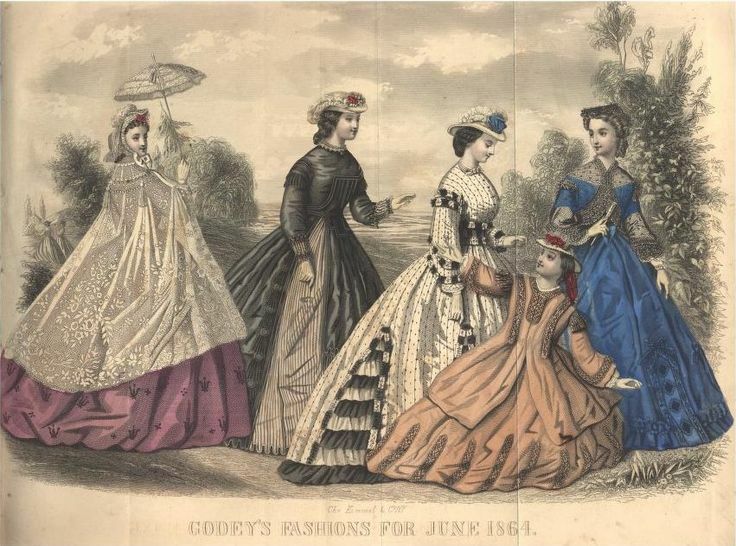 1860's spring poplin. The sleeves are trimmed with a narrow velvet ribbon. She also wears a wide velvet belt of the same velvet with a fancy gilt buckle. The dress was inspired by the second dress from the right HERE. Consuela's dresses will be available for download on her page in March. 1840's evening gown made of silk. 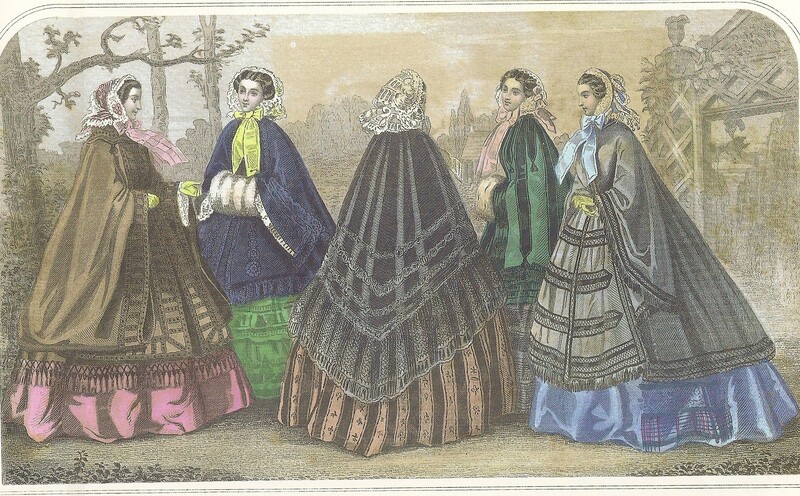 The skirt has three layers and the bodice has a caped collar. She also wears a pearl necklace and bracelet. It was inspired by the 3rd dress from the left HERE. This is an 1840's house dress. 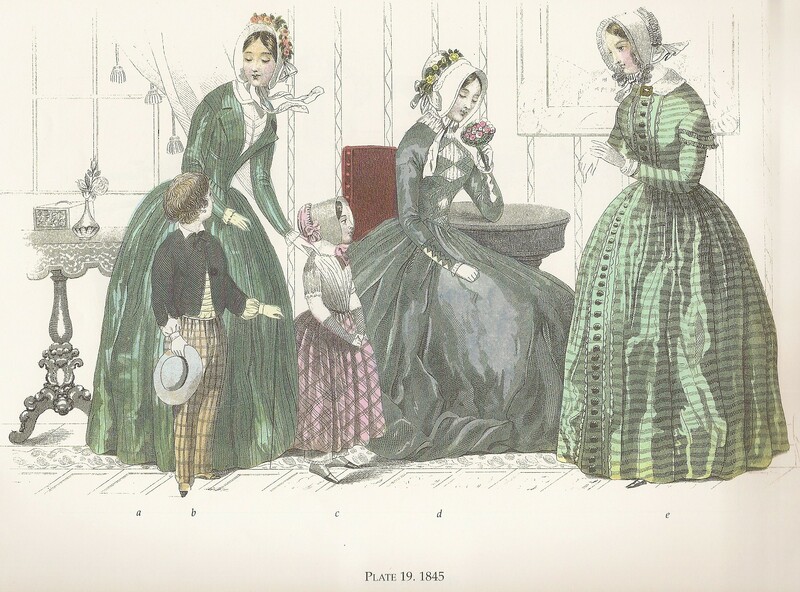 The over-bodice and skirt are made of silk and the under-bodice is of cotton. The inspiration was the dress on the far left HERE. Today I'm back with two dresses for Consuela because I missed the Thursday post last week because I was sick. 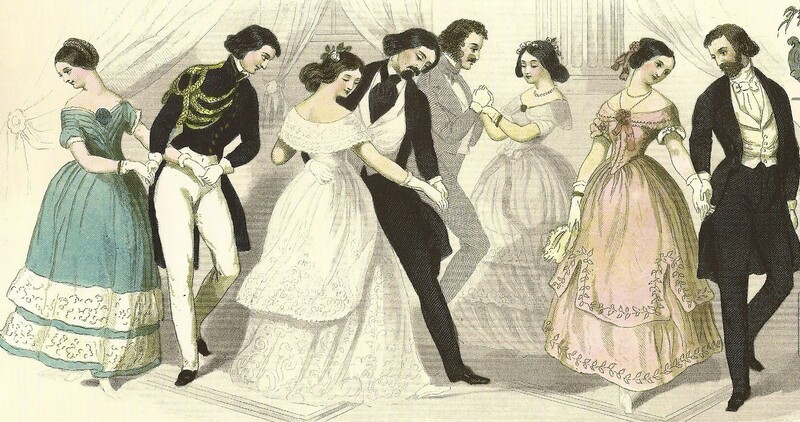 This dress is an 1860's promenade suit for a young lady. It is made of poplin and trimmed with silk. 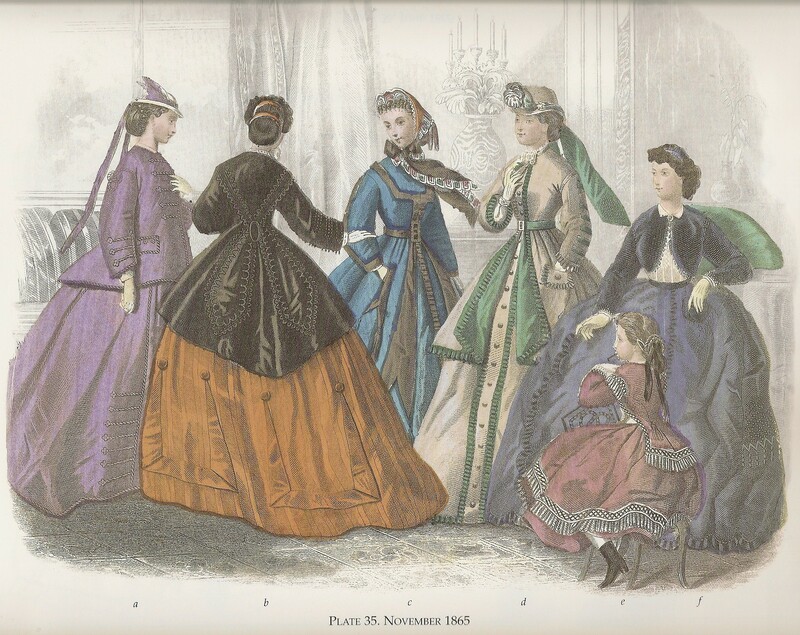 I was inspired by the first dress on the left HERE. This is an 1860's silk dress with box pleated ruffle on the bottom and Figaro style jacket made of black lace. I was inspired by the dress on the far right of THIS picture. A strapless underdress with bell shaped skirt and ruffle made of violet-colored satin. The overdress is also violet-colored and studded with amethyst colored gems. A pendant in the shape and color of a violet and worn on a golden chain completes the outfit. Silk morning dress of lavender, with a petaled overskirt and oversleeves. The undersleeves are of loosely woven muslin. The trim is satin cord and flat mother-of-pearl beads. A black lace shawl is worn over the dress and held closed with an amethyst brooch. Dark violet-colored linen blouse and skirt, with cream camisole underneath. the outfit is accented with a gold amethyst cabochon necklace and cream-colored wedge sandals. That concludes our February Birthday Dress Challenge! We'll announce our next challenge within the next few days and Josie Anne will be back on Monday with two dresses for Consuela. An 1850's cloak. The cloak is loose fitting and made of broadcloth trimmed with satin and fringe. The dress underneath is made of silk. It was inspired by the cloak all the way to the right in the picture HERE. An 1860's dinner dress made of silk. The underskirt is made of a lighter color and is layered. The upper skirt is cut in deep scallops and trimmed with ruffles. It also has a cape made of a different color and trimmed with a satin bow. 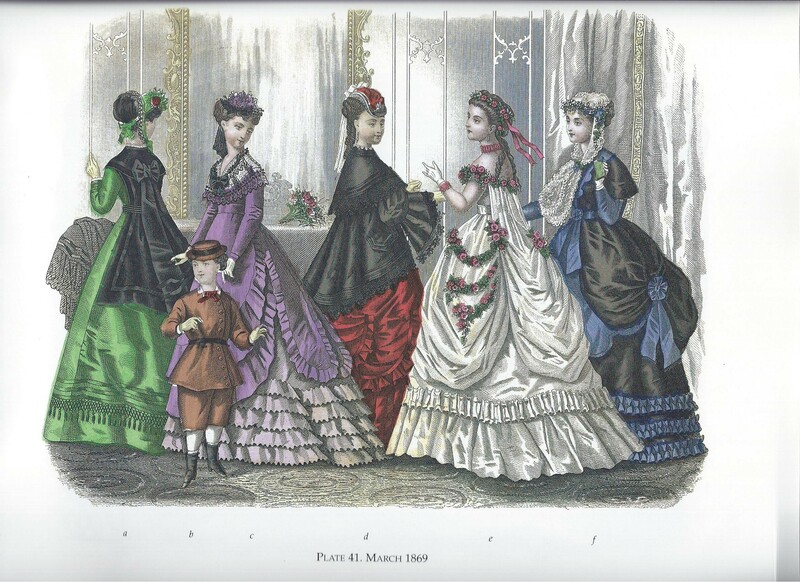 It is based on the purple dress second from left in THIS picture.